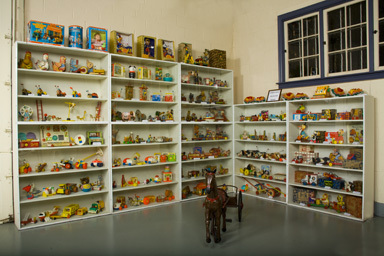 The collection of toys in The William E. Swigart, Jr. 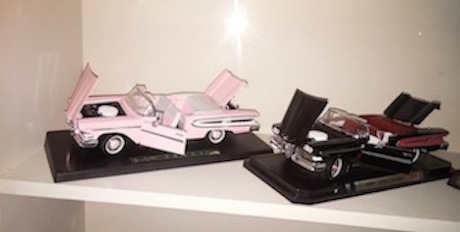 Automobile Museum includes those modeled after the exciting vehicles of the early 20th century. 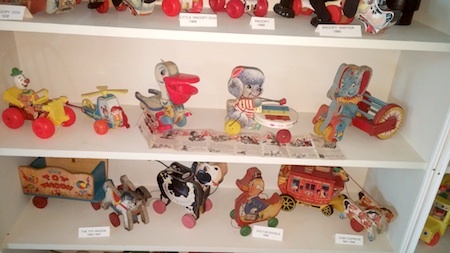 Cast iron fire trucks, horse-drawn pumpers, and other wheeled toys made by manufacturers such as Hubley and Buddy L; Lionel trains; and pedal cars with a silhouette similar to the antique cars in the museum are on display throughout the building. 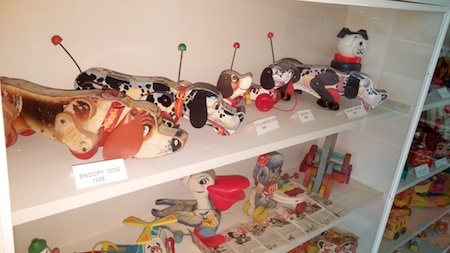 Other toys on display throughout the museum include mechanical tin plate toys, dolls, hobby horses, and much more.